It's easy for them to make it work. Vince can explain his reasons by simply what's best for business. E.G ratings are up, reviews are up, everyone's enjoying it more etc. Even if they do make it work it makes the whole match and spectacle pointless. Makes it? I think this is just saving the mess from the actual "story"
The whole thing was a mess from the start but undoing the main stipulation this soon is just insane. Its like Cena appearing one week after being fired during the Nexus angle. Or CM Punk returning 2 weeks after 'leaving forever'. Or if Kane put his mask back on the week after taking it off. Its bull Poopie and a slap in the face. Adam D wrote: Balls Mahoney has died. Jeez, and Axl Rotten was what? A month ago? I guess its true what they said. In ECW you either end up an addict, a cripple or dead. Apparently he severely injured his hip and was using a walker over the weekend. The campaign for the “Our Ladder” t-shirts should be launching in the next week, however I did want to inform fans that to honor late Pro-Wrestling star Kris Travis, the charity receiving 100% of the profits will be CAVENDISH CANCER CARE. With the industry muddled in social media-negativity and selfishness we could certainly use more individuals like Kris. With Tommaso Ciampa’s help, I am really looking forward to launching this campaign. Wonderful gesture. If Cody can get more WWE guys behind this then I think Travis getting the Warrior Award is a real possibility. Bray Wyatt been seriously injured in Italy. Apparently slipped over and was in a large amount of pain. Anyone going to raw or Smackdown this week? I'm going to raw tomorrow for the first time should be decent, won't be as good as progress though. 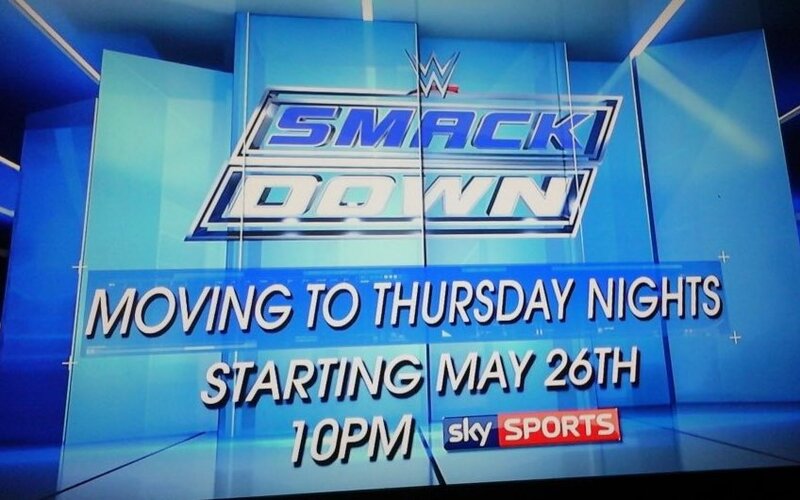 NickisBHAFC wrote: Anyone going to raw or Smackdown this week? You should get a ticket from Twickets for Progress on Sunday. Would love to but I probably won't make it in time as I'm in Liverpool that weekend! This is not PG dammit. The list of attitude era stars who have passed away continues to grow. RIP Chyna l, the 9th wonder of the world. Pity her and we never made up. John Cena has told Rolling Stone magazine that while he understands why the WWE is PG, he would like to see blood and violence make a return. I’m a 38-year-old man. I’d much rather it be a program geared toward me, whether that’s TV-14 or sometimes even more graphic than that, which is what I like. For one thing, profanity brought fire out of people with personalities that backed the language. It’s very difficult to say, ‘Oh, you’re being poopy,’ especially when they’re meant to be fighting words. And now, if someone starts to bleed, the referee intervenes to stop the bleeding. But before, you’d just let it fly. Blood is one of the things that made fights cool. Like, you knew it had gotten serious. I understand why we don’t do it anymore. Vince has been a coach to me, a father figure, a boss and a friend, and his goal and my goal are the same: to make the company be as big as it can be. But, yeah, the blood is one thing I miss. Cue jokes about "what's Zack Dagger doing in the impact zone"
Actually that last post was a mistake. Still with wwe. This disappoints me he's a guy who could use some time in Japan. I think he would do great in Japan. Could sling him in NXT? Build him back up? I obviously don't know him personally, but I'm pretty sure Swagger isn't unhappy with his spot. It's not a Sandow or Zack Ryder situation. He's on good money by all accounts because he's reliably popular, particularly at house shows. He's never stood out as somebody who is desperate to get to the top. Dolph Ziggler's brother is a murderer. WWE Network to stop people sharing accounts. Must be something more to the Brennan release than meets the eye. Guy never set a foot wrong as far as I could tell and was good at his job. Better than Phillips anyway and worked well with Graves. Apparently Bobby Roode and Eric Young left TNA because they were both owed an insane amount of money. Like a 6 figure amount each. ROH owners are interested in taking over TNA but won't cos Dixie insists she's gotta stay involved. She's trying to bury that company 6ft under. Samo wrote: Apparently Bobby Roode and Eric Young left TNA because they were both owed an insane amount of money. Like a 6 figure amount each. Well they are "TNA Originals", so maybe they felt a certain amount of loyalty and tried to give the company time to turn things round. As for Dixie Carter, where's Bully Ray with a table when you need him? Tommy Dreamer was owed nearly 100k from Paul Heyman near the end of ECW. Couldnt think of where else to stick this but in here: Camp WWE was actually pretty funny and worth a watch. I dont think its going to be everyones cup of tea, but if you like Family Guy and things like that its worth a watch. Vince McMahon was a highlight, the exact opposite side of the coin we've seen for years. Its worth watching just to hear him call people assholes and threaten to hit Triple H in the face with a bag of frozen walnuts. A fan replied to Rose on Twitter asking why he didn’t go to the WWE doctors immediately for permission when he was first prescribed Adderall. Rose responded that “they knew about it for over a year. He has since taken that down as well as the original promise to post it. And now he's reuploaded it. Very weird - imagine WWE will end up releasing him anyway. There does seem to be a number of disgruntled jobbers at present in WWE land. Ryberg flew home before RAW as he is stalling on a new contract with WWE. legendkillarV2 wrote: Ryberg flew home before RAW as he is stalling on a new contract with WWE. Hornswoggle and Alex Riley have both been released. No loss in Hornswoggle but think Riley had something to offer in NXT. Alex Riley was rubbish, he also had a very inflated sense of worth. I actually think Hornswoggle is the bigger loss. I thought he was a good announcer, decent enough in ring and I liked the 'Rage' thing before he was injured.